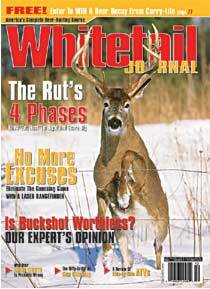 Weekend deer hunters do not necessarily have the time or resources to scout hard well in advance of their days afield. Here are some tips to get the most of your time afield. 1. 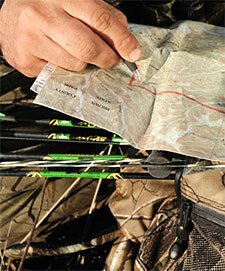 Know the Lay of the Land: Use maps and aerial photographs to give you a basic game plan. 2. Find the Food: Keying on preferred food sources, such as acorns, standing corn, green fields, honeysuckle, etc., will almost always turn up fresh deer sign. 3. Use Your Eyes: Use binoculars to try and determine obvious travel routes a deer might use to get in and out of the feeding area. Then you take another route into the area yourself, never physically walking on a trail past a stand site you expect the deer to use. 4. Watch the Wind: Always scout with the wind in your face. 5. Run Silent, Run Deep: You have to cover lots of ground, but do so as quietly as possible. Minimize "human" sounds. Take care to hang your stand as quietly as possible. 6. Low Impact: Minimize your impact on the deer's environment. Wear knee-high rubber boots and hunting clothes laundered in no-scent detergent. Try not to touch the brush with bare skin. 7. Prune Prudently: It's important to avoid pruning too many branches and limbs when creating shooting lanes. Too much "yard work" can tip off a good buck that something's up in his back yard. 8. Don't Overlook Still-Hunting: When scouting on the go, why not still-hunt? Move slowly when you reach areas that just "feel" right while closely examining the woods as you go. Look for "hidden hot spots" like shaded hollows, creek channels, and other places where the deer might be moving and feeding that the ordinary hunter doesn't look for. 9. Sharpen Your Knife: Scouting on the go is a great way to turn defeat into victory. And for some reason, those steaks seem as tender and sweet as any I eat all year.